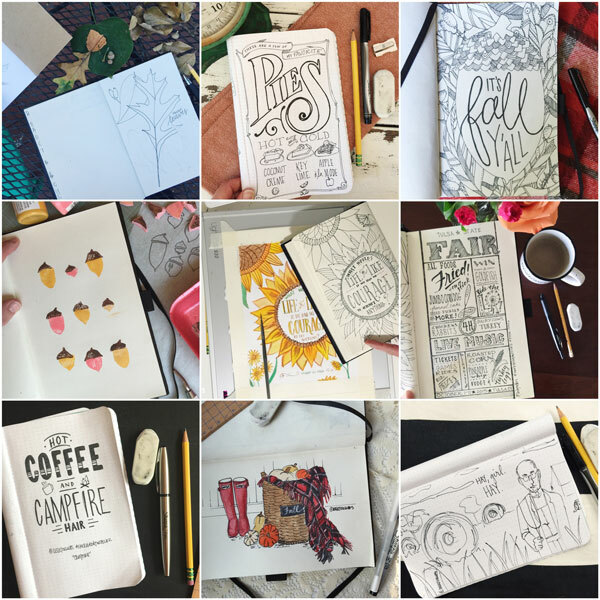 recipe for crazy blog: Draw with me, err, with Lori Danelle! Draw with me, err, with Lori Danelle! Where did October go? It seems like yesterday the month began and I was anticipating my nearing due date. Which was then followed by the longest week of my life when said due date came and went. But now here I am with a 2.5 week old baby boy! Sheesh! All that good stuff and I'm close to actually finishing a project I started! Woohoo for seeing something to the end. I'm high fiving myself because if you know me well, you know I start a LOT of things but rarely finish them. So I'm really proud that I've kept up with my October sketch-a-day challenge. What started as a simple way to challenge myself to draw more, you can see the post here, ended up being so much more. I found an amazing little community of artists wanting to try to challenge themselves too. This little instagram community has grown into a supportive and encouraging place for artists of all walks and experience levels. Some tried sketching for the first time while others sharpened their already amazing skills. 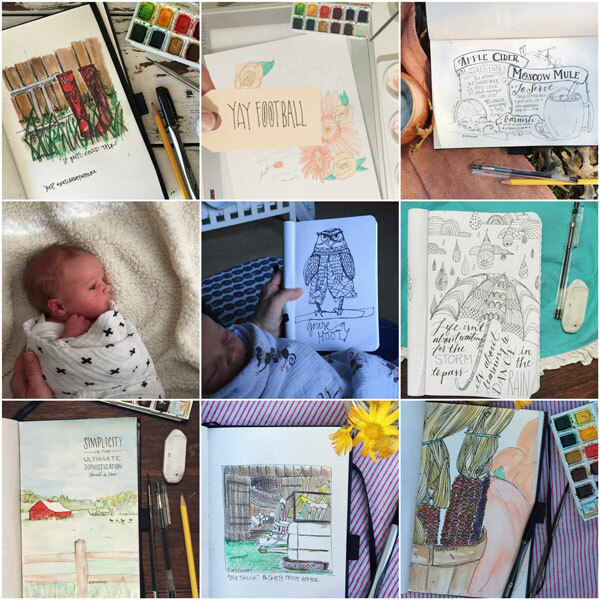 It's been such a blessing and I'm so thankful and really humbled to be part of such a fun thing on instagram so THANKYOU to everyone that joined in the challenge - one sketch or every single day, over 700 sketches to date! You rock. And while I'd love to continue next month, adjusting to life with a newborn and family of five needs a bit more of my attention. So, even though it is hard to step away, I'm leaving you in great hands! 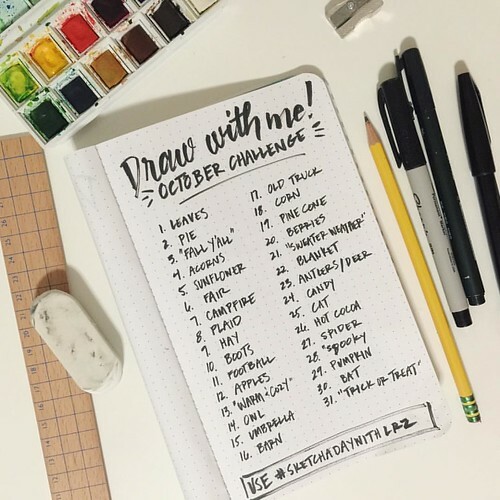 The sketch-a-day challenge will continue next month and my super talented friend, Lori Danelle, of Home Again Creative will be hosting you through November!!! You can find her on instagram, @homeagaincreative, or online, homeagaincreative.com. She will be posting the prompts for November so make sure you check her out. I will be sketching when I can and I'm really excited to challenge myself further. 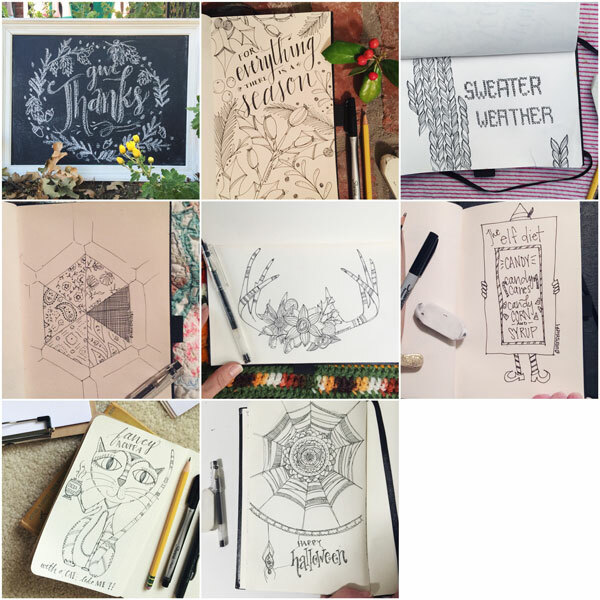 Lori will be posting a new hashtag unique to the November challenge so make sure you use it but feel free to use my #sketchadaywithlrz to include your drawings in the original feed if you want to keep them all together.